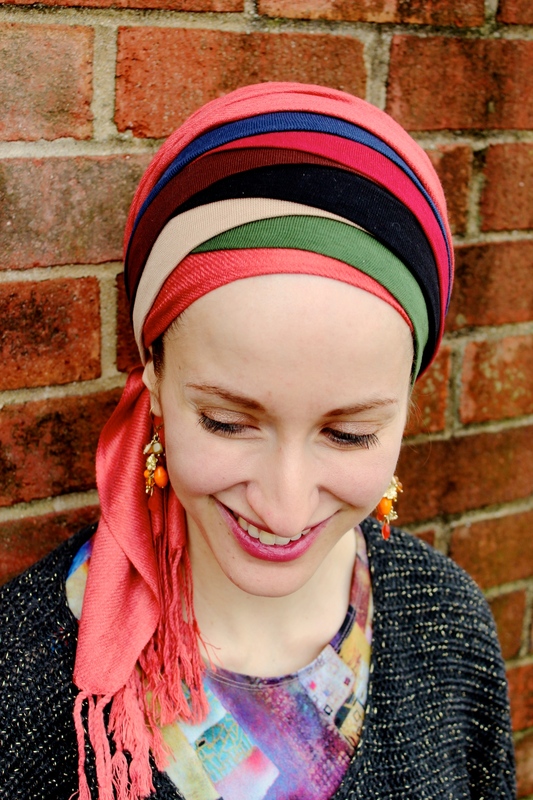 It’s long been talked about that headbands can add a beautiful layer to your headwrap with minimal bulk and almost zero effort… but I’ve never tried putting on 6 headbands at a time before! Can you believe I’m only wearing one scarf in the photo below? LOVE the result! On the Wrapunzel Store site, we call these babies “The Headband Secret”! They’re perfect stretchy cotton and they don’t budge once in place! ← Meet the Green Family! Have you ever considered writing a book or making a dvd about these wraps?